Most nutrient dense food group on earth! Nothing but Raw and Living Greens & Fruit! 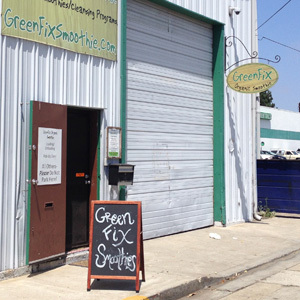 What is a GreenFix™ Organic Smoothie? Green Smoothie is a drink – it is a blend of organic fruits and greens, and sometimes other great ingredients that boost your health. 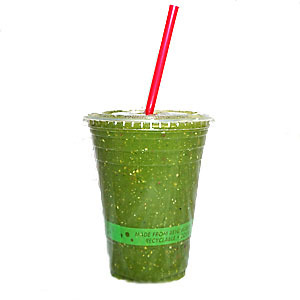 It is much like a fruit smoothie, only, in our case, it is all plant based with an added ingredient: greens, such as, chard, Romaine lettuce, collard greens, kale, dandelion greens, parsley, etc. Our blends consist of Raw and Living Greens & Fruit Loads of dark leafy greens so fresh they don't even know they've been picked. We only sell our menu of products fresh, made daily in local farmers markets and our retail shop so you can be sure you are getting the best! Most nutrient dense food group to be found on earth! NON-Pasteurized for peak nutrition "living" enzymes, full vitality! This is a Whole Food, Full Pulp (full fiber) Beverage. We use only pure water from our continuous Reverse Osmosis system. 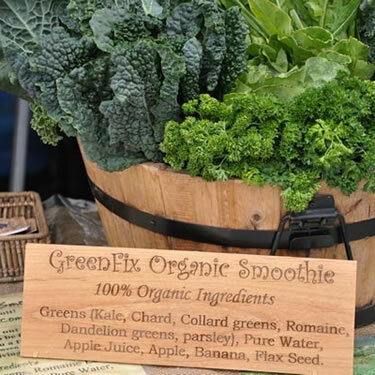 What’s nice about the GreenFix smoothie is that it’s not only organic, but you also get the healthy fibers that are important for digestion. Love, love, love it! Give it a try. It’s good for you! 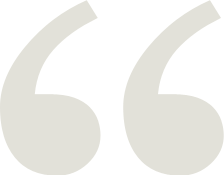 , Rianne D.
Great smoothies and amazingly nice people who are passionate about what they do. I’m a Fan 🙂 , Allison R.
I love this place, they are always fast, friendly and inexpensive. They have great juice. Highly recommend. Five Stars! , Brandon S.
GreenFix is great when I want to incorporate more greens into my diet, but don’t have the time to eat my greens. 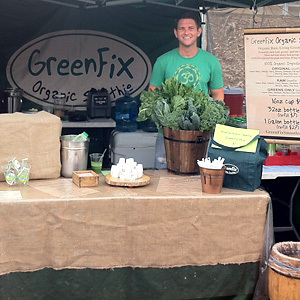 Love this place , Tina T.
I purchase GreenFix every week at the La Jolla Farmers Market and love it. It is always fresh and tasty and the people that work the stand incredibly nice. 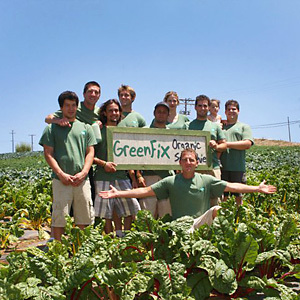 I purchase GreenFix every week , Brigid C.